Let’s face it, crafters tend to be competitive… even when it’s only with ourselves. I had heard about the previous events corresponding with the Olympic games and I was prepped and ready to attack several small projects over the course of the games. 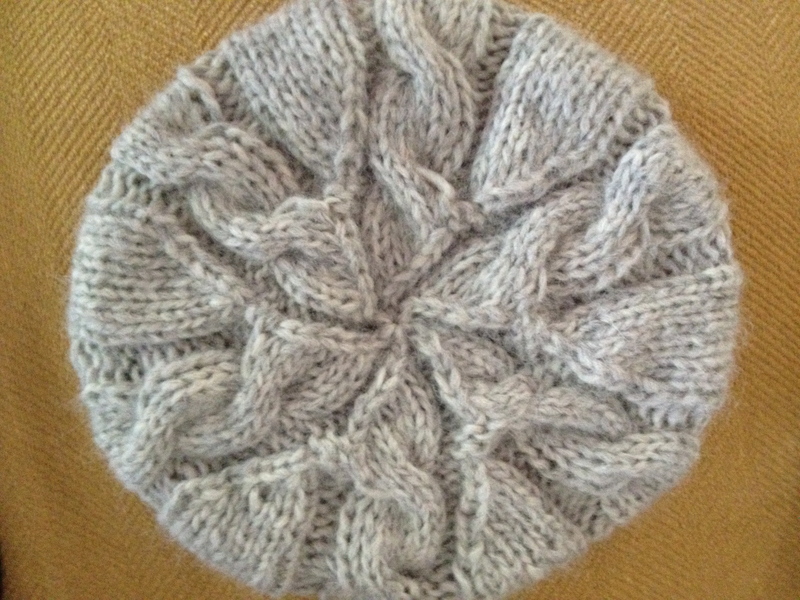 I was able to cast on my first project during the mass cast-on when the Olympic Opening Ceremony began and stayed up late working on my hat during the U.S. airing of the ceremonies, with assistance of a friend who came over to watch the ceremonies. The hat was complete the next day. This was potentially the fastest I have ever completed a project. In an attempt to keep up the momentum, I quickly entered my hat in the events it qualified for and cast on my next project. I completed my second project in record time as well. This lacy cowl is knit flat and closed with two buttons. 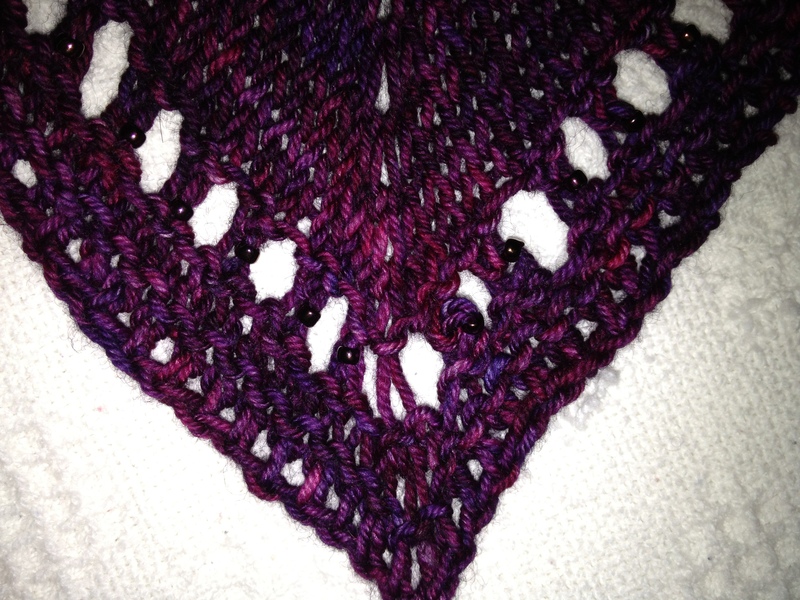 As soon as I had the pattern memorized, it flew off the needles. Then I started getting ambitious. 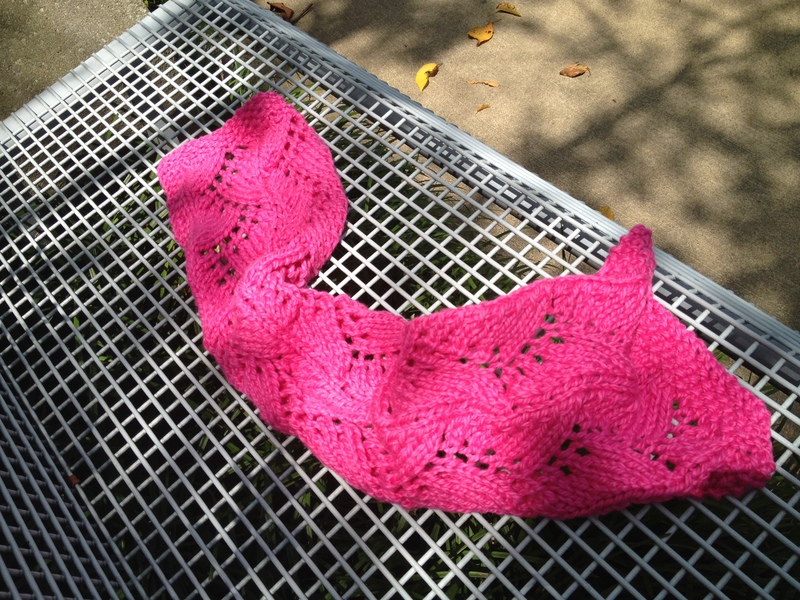 A shawl. Though, in my defense, I had heard many people discuss what a quick knit this pattern is and how they finished it in about a week. I didn’t have such luck and slowly lost steam. In the long run, I’m glad I slowed down on it as I wanted to add beads to the edging and make it a little more special. It was my first beaded project and completing the only row of beading took me an entire day’s worth of knitting time. As the summer comes to a close, I am glad to report that I succeeded in reaching and surpassing my Stash Dash goal of 1,800 grams with a total of 1,984 grams knit and spun. Though I had even bigger plans for the number of projects I wanted to complete, considering we had an insanely hot and humid summer, I’d say my productivity wasn’t too bad. Now that Fall is on its way, I have decided to cast on everything…. all at once.